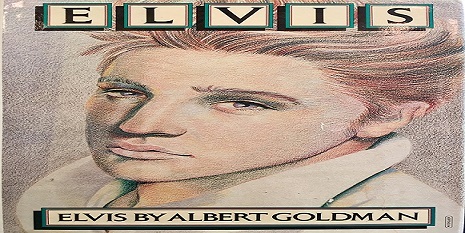 I have heard about Albert Goldman’s 1981 book Elvis for years. It is hated by Elvis fans. I went back and forth on whether I should read it or not, but in the end I decided to read it since I want to read every book about Elvis – the bad, the good, the untrue. I did not find the 585 page book as horrible as I thought I would. Goldman’s tone was crude, negative, brash and sensationalistic, but he got most of the facts correct. The facts were correct, just exaggerated and presented in the most negative light possible. The biggest fallacies I found were about Elvis’ sexual habits and his relationships with Priscilla and Linda. Lamar Fike was Goldman’s main source for his book.